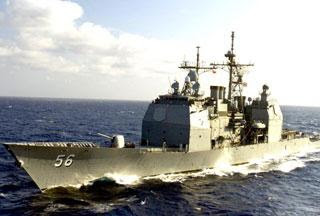 In addition to imposing new sanctions on the Tehran government, the US has reportedly begun beefing up its military presence and war paraphernalia off the Iranian coast. 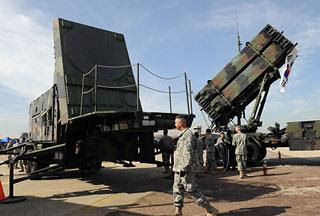 US military officials told AP on condition of anonymity that Washington has taken silent steps to increase the capability of land-based Patriot missiles on the territory of some of its Arab allies in the Persian Gulf region. Patriot missile systems were originally deployed to the Persian Gulf region to target aircrafts and shoot down missiles before they reach their target. According to the officials, who were expounding on the classified information in a Sunday interview, the US Navy is also upgrading the presence of ships capable of intercepting missiles. The officials claimed that details are kept secret, because a number of Arab states fear Iran's military capabilities, but at the same time, are cautious about acknowledging their cooperation with the US. Arab states have a long history of housing US military bases and combat equipments. Kuwait plays host to US Patriots, while the United Arab Emirates and Bahrain are home to the US Navy's 5th Fleet headquarters. Qatar is also known to have a modernized US air operations center that has played a central role in the US wars on Iraq and Afghanistan. Central Command Chief David Petraeus, who is responsible for US military operations across the Middle East, in early January warned of a series of 'contingency plans' in dealing with Iran's refusal to accept Western demands over its nuclear program. "It would be almost literally irresponsible if CENTCOM were not to have been thinking about the various 'what ifs' and to make plans for a whole variety of different contingencies," said Petraeus in a break from the Obama administration's oft-stated claims of diplomacy with Tehran. Petraeus has repeatedly asserted in his recent public speeches that the refurbishment of Patriot missiles is directly linked to US plans about Iran. "Other countries have certainly increased their Patriots, a whole host of different systems; Aegis ballistic missile cruisers are in the Gulf at all times now," Petraeus added. Equipped with advanced radar systems, the Aegis ships features a missile known as the SM-3, which came to the fore in February 2008 when it was used to shoot down a defective US satellite in space. Meanwhile, Defense Secretary Robert Gates has spoken fervently of a new approach to missile systems, both in Europe and the Persian Gulf. "I don't want to get into it in too much detail," Gates had said earlier in September, "but the reality is we are working both on a bilateral and a multilateral basis in the Gulf to establish the same kind of regional missile defense that would protect our facilities out there as well as our friends and allies." The buildup comes at a critical time in Tehran-Washington affairs. On Thursday, the US Senate passed a bill advocating tough sanctions on any entity, individual, company or even country, which deals in refined petroleum with Iran. Washington accuses Iran of developing nuclear weapons and has for years applied sanctions as a prime strategy to force the Tehran government into halting its nuclear activities. This is while Iran is a signatory of the Nuclear Non-Proliferation Treaty and unlike some of its regional neighbors has opened its enrichment plants to UN inspection. Under the Bush administration, Washington had strived to portray Iran's uranium enrichment program and missile development as threats to regional stability in what analysts believe to be an attempt to justify the increased US military presence in the Middle East. "I think he was a monster." That is how former British Prime Minister Tony Blair described the former Iraqi dictator Saddam Hussein on Friday, defending his legacy before an official inquiry into Britain's role in the US-led invasion of Iraq in 2003. Mr. Blair, who is now a Middle East peace envoy despite his immediate role in an illegal war, was accused of misleading his countrymen by exaggerating a fallacious report about a non-existing arsenal of weapons of mass destruction (WMDs) in the hands of the Iraqi leader, and ordering British troops into following former United States President George W. Bush's lead into the oil rich country. On Friday morning, the former Labour leader arrived at the Queen Elizabeth II Conference Centre next to the Houses of Parliament two hours early to avoid anti war protesters who braved a drizzling rain during the hearing. 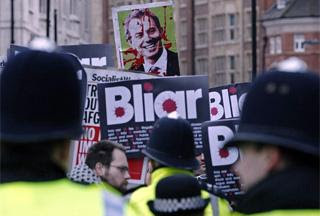 The relatives of British servicemen killed in Iraq who had managed to secure seats at the testimony were mostly respectful but demonstrators, wearing Blair masks covered with stage blood and waving placards reading "Jail Tony" and "Bliar," mounted a noisy vigil outside the building. As the much anticipated hearing began, Mr. Blair quickly turned to his prodigious political skills and took advantage of the terror attacks of September 11, 2001 in America to defend his case. He said his government had considered Saddam Hussein — which enjoyed the full support of London as well as Washington in its failed invasion of Iran and the eight year war that followed — a considerable risk, but the justification for his world vision hinged solely on the terror attacks. "The crucial thing after September 11 is that the calculus of risk changed," he said. "The point about this terrorist act was that over 3,000 people had been killed on the streets of New York, and this is what changed my perception of risk: if these people inspired by this religious fanaticism could have killed 30,000, they would have." 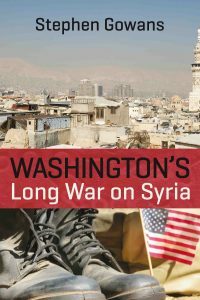 But he failed to note that the al-Qaeda operatives who took responsibility for the terror attacks had emerged out of a lawless Afghanistan, which was under the rule of Taliban up to the US invasion — the very same "really bad guys" who the United States now ponders on ways to bring back into power. He also overlooked the fact that during the build up to the Iraq invasion on March 20, 2001, the war in Afghanistan, which had begun shortly after 9/11, was still ongoing with no end in sight as Qaeda militants were roaming the country freely and violence was spreading across the poor nation. Mr. Blair, however, said he was certain the calls by the Americans had to be answered, and the world is now safer because of his action. "I believe he [Saddam Hussein] threatened not just the region, but the world," Blair told the government commissioned panel of career diplomats and academics. "If I'm asked if I believe we are safer, more secure, that Iraq is better, that our own security is better with Saddam and his two sons out of power … then I believe indeed we are." At the end of six hours of intense questioning, with angry Britons and many of his critics expecting some sort of an apology, Mr. Blair left the center stage without expressing any symptoms of inner regret. "The decision I took — and frankly would take again — was: if there was any possibility that he could develop weapons of mass destruction, we would stop him. 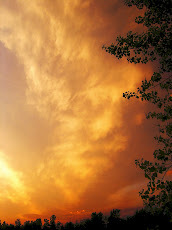 It was my view then and that is my view now." His response prompted James Sandry, one of the 80 members of the public who won a public ballot to be seated at the testimony, to shout, "Ah, come on!" Mr. Blair also managed to get a rise out of the families of fallen soldiers as he maintained his confidence and articulate posture — the same talent that enabled him to sell the dubious pre-war report to his colleagues and a skeptical Parliament — while refusing to acknowledge the military families at the hearing. The mother of a young Scottish soldier, Rose Gentle, whose son Gordon fell victim to a roadside bomb near Basra in June 2004, said she felt "sick with emotion" as the former prime minister, who ruled the country for more than 10 years, gave evidence at the inquiry, Herald Scotland reported. "He had a smirk on his face which has made the families very angry. He has convinced himself that he was right, but it has emerged that half the Cabinet were not given all the papers. 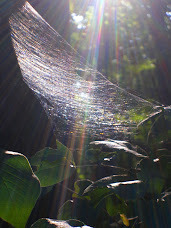 It makes me so angry," said Mrs. 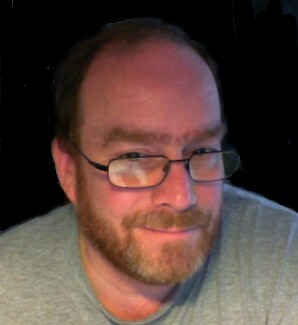 Gentle, an outspoken critic of the war. "I will never forgive him and I believe he should stand trial … I will be angry with him for the rest of my life." Although he was branded by angry protesters as a murderer and liar as he ended his testimony, Mr. Blair seemed to have silenced his political critics on Iraq, even after insisting that the decision to occupy the Middle Eastern country had not been made in secret with President Bush at Crawford, Texas, in April 2002 — despite assertions by Britain's then ambassador to Washington, Christopher Meyer, that such a deal had been "signed in blood" at the ranch there. However, the highlight of the night came as Mr. Blair forced the testimony, which was being aired on national television, in a new direction by taking advantage of the platform and pitched for opening a new battlefield as he mentioned Iran 58 times. He argued that he sees the same justification that forced him to dispatch troops to Iraq — where at least 179 British servicemen were killed in action and some 5,970 others were injured — about Iran. He then said world leaders might have to go to war to stop Iran's nuclear program — which Tehran says is aimed at the civilian applications of the technology, such as electricity generation. "We face the same problem about Iran today," Mr. Blair told the inquiry, chaired by Sir John Chilcot. "When I look at the way Iran today links up with terror groups ... a large part of the destabilization of the Middle East ... comes from Iran," he said. "My judgment — and it may be other people don't take this view, and that's for the leaders of today to make their judgment — is we don't take any risks with this issue." He claimed Iran, a predominantly Shia country, had supported al-Qaida, which associates itself with an extremist interpretation of Islam, in destabilizing Iraq. Sir Richard Dalton, former UK Ambassador to Iran from 2002 to 2006, dismissed the allegations as a "piece of spin." "To say that Iran was the principal reason seemed to me to be part of a broader argument which he was trying to make, namely that it makes what he did in Iraq look better if he extends it to the future and says the policies then might have to be applied. But Iran is a completely different situation," Ambassador Dalton told the BBC Radio 4 Today program, warning against Mr. Blair's attempt to put the question of confronting Iran militarily into the 2010 elections. Nonetheless, with the remarks, the former premier once again pledged allegiance to his close friend, President Bush who had put Iran alongside Iraq and North Korea on his historic "Axis of Evil." The allegations, meanwhile, resembled those Iraq was charged with in the run-up to the 2003 invasion. Aside from the WMD allegation, Baghdad was accused of cooperating with al-Qaeda elements who were behind the 9/11 attacks. But it was only after the invasion that US intelligence agencies admitted the presence of the so-called al-Qaeda cells were established after the fall of Saddam's semi-functional government. Mr. Blair's attempt to link his unpopular, and illegal as many Britons argue, military adventure to Tehran may have miserably failed but his calls for waging war against the Islamic Republic will be weighed by leaders around the world who can realize that the Saddam regime is in no way comparable to the Iranian government and its military might. It is also noteworthy that the charges that Iran may have weapons of mass destruction, including nuclear bombs, or it is pursuing them are unsubstantiated, according to the Untied Nations nuclear agency which has kept a close eye on the country's activities. Questions still remain among many Britons and Iraqis why Mr. Blair is not being called to The Hague and tried as a war criminal, but for now, his warmongering world vision can bring his political demise. "I'm hoping he's going to live in the USA after this," said John Howsam, a pensioner who stayed outside the Queen Elizabeth II Conference Centre during Mr. Blair's hearing. "Him and Bush are ... cronies, aren't they?" China suspends military exchanges with the US and threatens to impose sanctions on US arms companies over a Washington decision to sell weapons to Taiwan. China's Defense Ministry suspended military exchange visits with the US, saying the suspension was "in consideration of the serious harm and impacts [of the 6.4-billion-dollar US-Taiwan arms deal] on Sino-US military relations." Chinese Foreign Ministry also threatened to impose sanctions on US firms that sell weapons to Taiwan amid straining relations between Washington and Beijing. "China will also impose corresponding sanctions on US companies that engage in weapons sales to Taiwan," the ministry said on Saturday. "The United States must be responsible for the serious repercussions if it does not immediately reverse the mistaken decision to sell Taiwan weapons," Chinese deputy Foreign Minister He Yafei told the US ambassador to China, Jon Huntsman. The arms sale includes Black Hawk helicopters, Patriot Advanced Capability-3 missiles, mine hunter ships and information technology. US Congress has 30 days to comment before the plan goes forward. Lawmakers traditionally have supported such sales. Saturday's measure is the second such suspension, since the former Bush administration in 2008 announced a multibillion-dollar arms sale to Taiwan. Relations between the two countries have been strained as President Barack Obama plans to meet with the Dalai Lama, the exiled spiritual leader of Tibet, later this year. More complications could affect President Hu Jintao's expected visit to the US this year, as well as talks on human rights that Obama and Hu had agreed to continue, a Press TV correspondent reported. Iran plans to build seven new oil refineries with a capacity of 1.6 million barrels that could turn the country into a gasoline exporter. Iran's official news agency, IRNA, in a report announced that the production of gasoline by the new refineries will not only meet domestic demand, but could result in sufficient production to turn the country into an exporter of gasoline. The largest refinery, the "Persian Gulf Star", will be built in the city of Bandar Abbas on the Persian Gulf with an estimated production of 35.6 million liters of gasoline per day. The "Shahriar" refinery that is to be built in the northwestern city of Tabriz will be able to produce 8.1 million liters of gasoline daily. 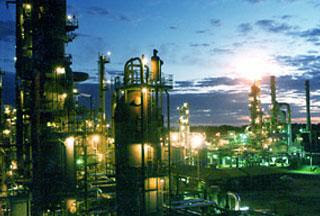 Five additional refineries will be built, with a second installation in Bandar Abbas, and Shiraz and Abadan completing the locations in southern Iran, and a production center in the western city of Kermanshah and the northern province of Golesatan. The plan to construct the new refineries comes as the US has already imposed sanctions targeting Iran's gasoline imports as part of Washington's efforts to apply pressure to Tehran over its nuclear program. Tehran has repeatedly declared that Western sanctions are not able to force it to relinquish the legitimate nuclear rights of the Iranian nation. In an unprecedented move, more than fifty members of the US Congress sign a letter, asking President Barack Obama to put pressure on Israel to end the crippling siege of the Gaza Strip. The letter, which was the initiative of Democrat Representatives Jim McDermott from Washington and Keith Ellison from Minnesota, calls on Obama to address international concerns over the post-war humanitarian situation in Gaza, which has been further worsened by a long-imposed Israeli blockade. “The unabated suffering of Gazan civilians highlights the urgency of reaching a resolution to the Israeli-Palestinian conflict, and we ask you to press for immediate relief for the citizens of Gaza as an urgent component of your broader Middle East peace efforts,” the letter urged. “The current blockade has severely impeded the ability of aid agencies to do their work to relieve suffering,” it added. The authors went on to add that Tel Aviv's refusal to allow building materials into the Strip is preventing the reconstruction of Gaza's infrastructure, which was severely damaged last year when Israel launched a bitter three-week attack on the Palestinian territory. The war on Gaza killed nearly 1400 Palestinians, wounded thousands of others, displaced 60,800 civilians, seriously damaged 17,000 homes and triggered a critical humanitarian crisis. Israel's stranglehold on Gaza has made as much as 80% of Gazan residents dependent on aid from the United Nations. The blockade has led to the collapse of 90% of Gazan businesses, and as a result, more than one million people are now living in abject poverty. The US Senate's approval of the Iran sanctions bill has won attention and applause from the American Israel Public Affairs Committee (AIPAC), one of the most powerful and influential pro-Israeli lobbies on Capitol Hill. The bill, which was passed by the Senate on Thursday, targets Iran's energy sector, threatening to impose tough sanctions on any entity, individual, company or even country, which deals in refined petroleum with Iran. AIPAC, which led lobbying for the bill, applauded the move on Friday, but nevertheless called on senators to expedite the implementation of the resolution. “Iran's possession of nuclear weapons capability would be a devastating blow to America's national security interests,” said AIPAC Spokesman Josh Block. “The US and our allies must impose biting diplomatic and economic pressure to try and peaceably prevent Iran from acquiring nuclear weapons and avoid confronting more distressing alternatives,” he added. 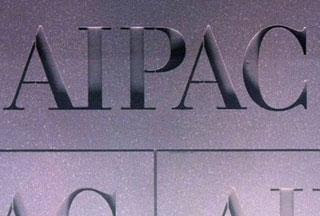 Billed as "the most important organization affecting the US relationship with Israel" by the New York Times, AIPAC has been repeatedly criticized for "distorting American foreign policy in favor of Israel." With its intense lobbying power, AIPAC has won bipartisan backing inside Congress to such an extent that the interests of AIPAC, Israel and the United States are widely believed to be the same. Washington accuses Iran of developing nuclear weapons and has applied sanctions as a prime strategy to force the Tehran government into halting its nuclear activities. Iran's Foreign Ministry spokesman Ramin Mehman-Parast told IRNA (the Islamic Republic News Agency) on Friday that efforts to subvert Iran's nuclear activities would never come to fruition. “We have repeatedly said that the US sanctions imposed against our nation during the past 31 years … have resulted in nothing but our nations' stronger determination to assert independence and achieve self-reliance,” he said. The Director of the CIA, Leon Panetta, has held secret talks with Egyptian and Israeli officials over expanded US intervention in Yemen. According to Debkafile, the CIA chief paid secret visits to the Egyptian capital Cairo and Jerusalem Al-Quds on Thursday. 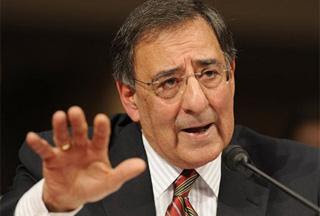 Panetta met with Egyptian President Hosni Mubarak, Defense Minister Mohamed Hussein Tantawi, and intelligence minister, Gen. Omar Suleiman to ask them to dispatch forces to Yemen to help the US troops. Meanwhile, Washington has asked the Egyptian government to let the US use Egyptian airports for ferrying military equipment and launching air raids. Panetta also met with Israeli officials in Jerusalem Al-Quds on the same day to talk about the latest developments in Yemen. A large US base is under construction near the Yemeni Red Sea port of Hodeira, according to the report. Washington became involved in secret joint operations in Yemen after President Barack Obama approved US military and intelligence teams to be dispatched to the country. The US agents are helping the Yemeni army develop tactics, while providing Sana'a forces with electronic and video surveillance, as well as three-dimensional terrain maps. In addition to "highly sensitive intelligence," the United States is sending weapons and munitions to be used against what the White House describes as an al-Qaeda cell operating in the Arabian Peninsula, the article added. Earlier in January, the White House pledged $121 million in aid to help the unpopular Yemeni government crush uprisings. In unusually blatant remarks aimed at China, US Secretary of State Hillary Clinton on Friday assailed the country for not joining the US-led front in imposing fresh sanctions against Iran over its nuclear work. Clinton said she understood China's unwillingness to impose new penalties on Iran, one of the country's biggest oil suppliers, but warned against “longer-term implications” if Iran did not stop its nuclear program. "We understand that right now it seems counterproductive to you to sanction a country from which you get so much of the natural resources your growing economy needs. 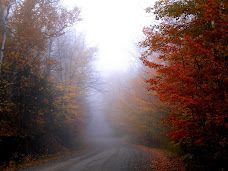 But think about the longer-term implications." The US accuses Iran of pursuing nuclear weaponry. Iran says its nuclear program is directed at the civilian applications of the technology. 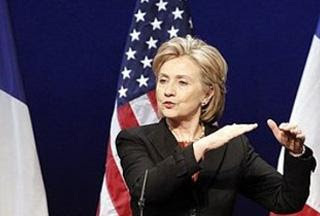 Clinton said from now on, China will be under “a lot of pressure” to accompany the US campaign. The US has been lobbying China and Russia, two veto-wielding permanent members of the United Nations Security Council (UNSC), to approve more sanctions against Iran. Earlier this month, the five permanent members of the UNSC plus Germany (P5+1) met in New York but failed to agree on a new round of sanctions as Russia and China called for patience and restraint in dealing with Iran over its nuclear program. China has threatened the US with "serious" consequences over a Washington decision to sell USD 6.4 billion worth of weapons to Taiwan. The arms package includes Patriot missiles, Black Hawk helicopters, and communications equipment for Taiwan's F-16 fleet. 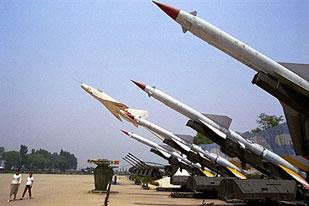 However, it does not include the fighter jet itself, which had been part of Taipei's wish list, AFP reported on Friday. After US announced the arms sale to Taiwan, Beijing quickly responded with a warning that the arms sale could jeopardize important bonds of cooperation between the two countries and can have "serious" consequences. "The US plan will definitely undermine China-US relations and bring about serious negative impact on exchange and cooperation in major areas between the two countries," a spokesman for the Chinese embassy in Washington, Wang Baodong said. Baodong urged the United States to halt the planned sales, saying that otherwise "this will lead to repercussions that neither side wishes to see." The last US arms package for Taiwan, announced under previous president George W. Bush in October 2008, led China to temporarily snap off military relations with the United States. Iran's Parliament (Majlis) Speaker Ali Larijani says the US and Israel are attempting to spread Iranophobia in the region to create division in the Middle East. "It is necessary to recognize that, by creating a non-realistic sense of fear and dread towards Iran, the US and Israel are seeking to expand their military bases in the region," the top Iranian official said on Friday in a visit to Kuwait. 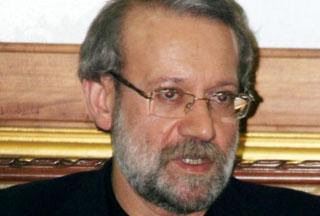 Larijani added that the US and Israel make the most out of forging unreal enemies in the oil-rich region, "selling their armaments and plundering oil reserves." Referring to "the enemies' efforts" to inflame sectarian disputes between Shia and Sunni Muslims, Larijani said that "tracks of Zionist and American intelligence agencies can be traced in such disputes in the region." The Parliament speaker echoed remakes by Iranian President Mahmoud Ahmadinejad, who had earlier said that the West seeks to dominate the Middle East under the pretext of establishing democracy. 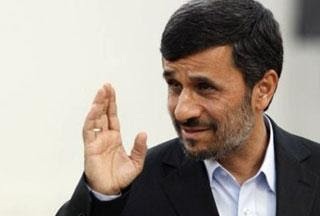 "They (the West) are occupying Iraq and Afghanistan and interfering in Pakistan and Yemen under the pretext of establishing democracy," Ahmadinejad said in mid-January. The Iranian president, however, maintained that Tehran will not let the Western "dream" of dominating the region materialize. 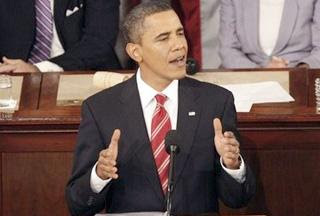 He used his address to Congress on Wednesday to show how he intends to govern in the next three years. He also delivered a warning to Iran. President Obama claimed diplomatic efforts had "strengthened" the US position in dealing with countries that he said are violating international agreements, referring to Iran and North Korea. "That is why the international community is more united, and the Islamic Republic of Iran is more isolated. And as Iran's leaders continue to ignore their obligations, there should be no doubt: they, too, will face growing consequences," he said. He also accused Iran of "violating international agreements in pursuit of" nuclear weapons. Iran says its nuclear program is directed at the civilian applications of the technology and is in line with the Nuclear Non-proliferation Treaty, to which it is a signatory. On Wednesday, a senior US official, speaking on condition of anonymity, said US Secretary of State Hillary Clinton would seek support for new UN Security Council sanctions against Iran during her stay in London this week. According to the official, the former first lady will hold private meetings with the foreign ministers of Russia, China, Britain, Germany, France, Italy, Indonesia, Saudi Arabia and the United Arab Emirates to garner support for new Iran sanctions. Earlier this month, the five permanent members of the UN Security Council plus Germany (P5+1) met in New York and failed to agree on a new round of sanctions. During the meeting, Russia and China called for patience and restraint in dealing with Iran over its nuclear program. The Taliban say the 60-nation conference in London on Afghanistan will be a waste of time should it not entirely focus on the departure of foreign forces from the war-torn country. In a statement Wednesday, the militants said the outcome of the summit will be as disappointing as of the meetings in Paris and Tokyo, if it does not consider the reality on the ground. World leaders and senior representatives from around the globe are in London to attend the high-profile conference on the future of Afghanistan. 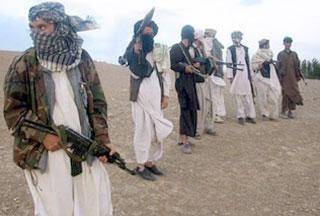 Ahead of the summit, Taliban spokesman Zabihuallh Mujahid said the only solution is the withdrawal of all international troops from Afghanistan, a Press TV correspondent reported. To bring peace to the country, the statement said, all Taliban detainees in Guantanamo Bay and Bagram prisons should be released and all Taliban leaders should be removed from the UN blacklist. 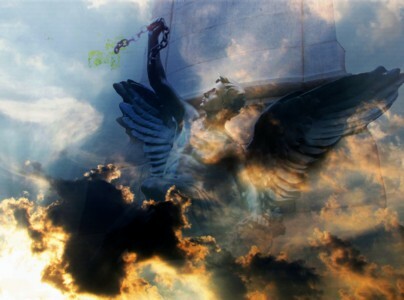 The Taliban, it said, will continue to fight foreign forces to free the country from occupation. The US, which led the 2001 invasion of Afghanistan to fight terrorism and root out the Taliban, meanwhile, is mulling over a plan to reintegrate the militants in the country's political system. US special envoy to Afghanistan and Pakistan Richard Holbrooke says the plan will force the Taliban lay down their weapons and stop resisting foreign forces. According to Holbrooke, the US believes two-thirds of the Taliban can be pardoned as they do not follow extremism. Meanwhile in Afghanistan, more than a hundred thousand foreign troops are facing an increasing struggle to fight militancy and restore security in several parts of the country. A Nazi death camp survivor slams Israel over its occupation of Palestine, drawing an analogy between the Israeli army's indignations and the conduct of Nazi forces during World War II. 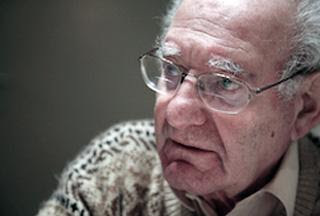 "The Israelis tried to dehumanize the Palestinians, just like the Nazis tried to dehumanize me," said Dr Hajo Meyer, 86, who survived 10 months in Auschwitz Nazi concentration camp in Poland. "Nobody should dehumanize any other and those who try to dehumanize another are not human," he said at the beginning of his lecture in Scotland. The octogenarian Holocaust survivor, who embarked on a 10-day tour of the UK and Ireland, called Israel "the world champion in pretending to be civilized and cultured." The comments by Meyer have provoked a fresh outcry of "anti-Semitism" by hardline Jewish lobby groups. However, Meyer, the Dutch-based author of three books on Judaism, the Holocaust and Zionism, dismissed "anti-Semite" labels hurled against him. “Formerly an anti-Semite was somebody who hated Jews because they were Jews and had a Jewish soul. But nowadays an anti-Semite is somebody who is hated by Jews,” he stated. A spokesman for the International Jewish Anti-Zionist Network, of which Dr. Meyer is a member of, backed the remarks. “Hajo knows that Israel has a long history of abusing the tragic history of the Holocaust in order to suppress legitimate criticism of its own crimes," said the spokesman. Israel has disdained international calls to conduct an independent probe into the war crimes its forces have been charged with during its 2008 Gaza offensive. The call for an internal investigation of the alleged - and documented - war crimes is part of a damning report by a UN fact-finding mission led by the South African Judge Richard Goldstone. The 575-page report mostly highlighted Israeli war crimes such as deliberately targeting centers known to be holding Palestinian civilians and shooting civilians on the run, including some that were waving white flags. "Israel has no intention of creating a verification commission," Tel Aviv's Information and Diaspora Minister Yuli Edelstein said in New York on Tuesday, a day after meeting the UN Secretary General Ban Ki-moon. He added that he had informed Ban of the Israeli intentions during their Monday meeting. The refusal came two days before the Israeli minister submits Tel Aviv's official response to charges of war crimes over the three-week war the regime's forces waged against the densely-populated coastal strip, killing more than 1,400 Palestinians, mostly civilians, and leaving tens of thousands more injured. Meanwhile, the Israeli media have suggested the possibility of a limited inquiry to help Tel Aviv deflect a portion of the widespread international condemnation it is facing over the Gaza offensive. In his report, Mr. Goldstone suggested that its conclusions be referred to the Hague-based International Criminal Court if Israel and Hamas fail to carry out convincing probes into their actions within six months. The UN General Assembly overwhelmingly endorsed the report in November, in the face of fierce opposition from Israel and the United States, who pledged to take a stance against the report in support of its closest Middle East ally. The General Assembly consequently called on both sides to carry out investigations "that are independent, credible and in conformity with international standards" by February 5. Israel has been striving to suppress the Goldstone report since it was released in September, vowing to fight any efforts to bring the Israeli initiators of the 22-day aggression to trial. 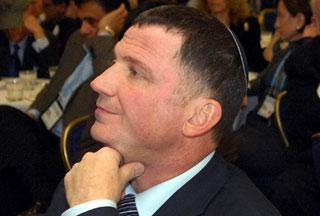 On Tuesday, Edelstein made the claim that the report is stirring up “anti-Semitism” and “reinforcing Holocaust deniers,” despite the fact that its South African author is Jewish himself. A United Nations' report says the US has been violating basic human rights by kidnapping and holding terrorism suspects in secret detention centers during the past nine years. The US is among dozens of countries that have kidnapped suspects, four independent UN rights investigators said in a year-long study based on flight data and interviews with 30 former detainees. "On a global scale, secret detention in connection with counter-terrorist policies remains a serious problem," they wrote in the 226-page report which is expected to be presented to the UN Human Rights Council in March. "Secret detention as such may constitute torture or ill-treatment for the direct victims as well as their families," the report said. Victims and their families deserve compensation and those responsible should be prosecuted, said the four independent investigators. The UN report explained that the purpose of the secret detentions was to cover up torture and inhuman treatment of the detainees in an effort to obtain information or silent the subjects. The rights investigators said running facilities such as those used by the Nazis, the Soviet gulag system and Latin American dictatorships in the 1970s and '80s, was banned under the internationally recognized laws laid out in the Geneva Conventions. They also said establishment of secret detention could not be justified under any circumstances, including during states of emergency or armed conflict. The study, which was led by the UN Special Rapporteur On Torture Manfred Nowak and the Special Rapporteur on Terrorism and Human Rights Martin Scheinin, also offers an account of how secret US detention were set up and run. It said after the September 11, 2001 attacks, US President at the time George W. Bush declared a global "war on terror" and set up the Guantanamo Bay detention facility and other "black sites" where al-Qaeda detainees were beyond the reach of domestic courts. "The secret detention policy took many forms. The CIA established its own secret detention facilities to interrogate the so-called 'High Value Detainees'. "It asked partners with poor human rights records to secretly detain and interrogate persons on its behalf." It added that after the start of the Afghanistan and Iraq conflicts, prisoners were held incommunicado and deprived of basic rights to trial, a lawyer, and contacts with their relatives. The investigators also cited comments by some former detainees who said that they were subjected to torture including being kept naked or subjected to loud noises or sleep deprivation during their secret detention. 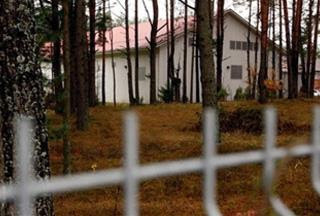 The report said that under the unlawful practice, known as extraordinary rendition, detainees also appeared to have been sent to allied countries, including Thailand, Poland and Romania. "The CIA appears to generally have been involved in the capture and transfer of prisoners, as well as in providing questions for those held in foreign prisons," it said. "Equally, little is known about the amount of detainees who have been held at the request of other states such as the United Kingdom and Canada," it added. The UN investigators said commitments by the Obama administration to close CIA detention facilities were not sufficient, pointing out that clarification was needed on what had happened to detainees held in sites in Iraq or Afghanistan. 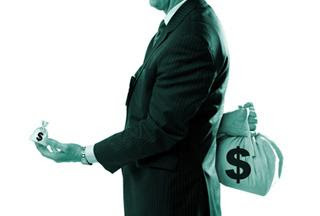 In the post-bailout America, the biggest ailing banks magnanimously paid their employees up to 94 cents out of every dollar of their earnings to in 2009, a report said. The New York Times unveiled in a report Tuesday that profits of the banks were going toward employee salaries, bonuses and benefits instead of their shareholders. The report said the five largest banks on Wall Street — Citigroup, Goldman Sachs, Bank of America, Morgan Stanley and JPMorgan Chase — are giving their employees an unheard-of cut of the winnings. Citigroup's employees received about $24.9 billion in 2009 as the bank posted a $1.6 billion loss at the same time. "Citigroup is, in effect, paying its employees $1.45 for every dollar the company took in last year. On average, its workers stand to earn $94,000 each," the report said. Goldman Sachs gave its staff about 45 cents out of every dollar or about $447,000 for each employee. The bank has 36,200 employees. The banks "are handing out fat slices of their profits, leaving little left over for their shareholders," the report said. Bank of America also spent 88 cents of every dollar to compensate its workers. At Morgan Stanley and JPMorgan Chase, that figures are 94 and 63 cents out of every dollar. Citigroup, Bank of America and Morgan Stanley have all defend their decisions about compensation. Some Analysts, the report said, believe the banks "are rewarding their employees at shareholders' expense." "The investor in America sits at the bottom of the food chain," said John C. Bogle, the former chairman of the Vanguard Group. "The financial industry gets paid before their clients, and we get paid whether times are good or bad." "It's not a fair shake," said John A. Hill, chairman of the trustees at Putnam Funds. "I think the shareholders who paid for building that franchise should be getting a bigger share of the franchise's profits." The revenues of five largest banks on Wall Street stood at $147.4 billion before paying compensation and taxes last year. Washington has involved in secret joint operations in Yemen after President Barack Obama approved US military and intelligence teams to be dispatched to the country, the Washington Post revealed Wednesday. 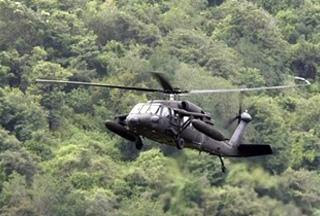 The operations begun six weeks ago, involving troops from the US military's clandestine Joint Special Operations Command (JSOC), whose main mission is tracking and killing suspected terrorists, the Post reported. The American agents are helping the Yemeni army develop tactics and providing Sana'a forces with electronic and video surveillance, as well as three-dimensional terrain maps, the report said. In addition to "highly sensitive intelligence," the US is sending weapons and munitions to be used against what the White House describes as an al-Qaeda cell operating in the Arabian Peninsula, it added. In late December, President Obama even approved a strike against a compound in southern Yemen where US citizen Anwar al-Aulaqi was allegedly meeting with regional "al-Qaeda leaders," the report added. "We are very pleased with the direction this is going," the Washington Post quoted an unnamed senior administration official as saying of the cooperation with Yemen. Washington has also been sending a steady stream of high-ranking officials to visit Sana'a, including the rarely seen JSOC commander Vice Adm. William McRaven, White House counter terrorism adviser John Brennan, and head of US Central Command Gen. David Petraeus. However, amid rising concerns over the US role in military operations in Yemen, the government continues to its offensive against the country's Shia minorities in the north. Backed by the Saudi military, the operation has left hundreds killed and tens of thousands displaced in the battle zone, prompting repeated warnings of a humanitarian disaster in the making from international organizations. A number of US congressmen have written to President Barack Obama, urging him to pressure Israel to ease the blockade of the Gaza Strip over humanitarian concerns. "We ask you to press for immediate relief for the citizens of Gaza as an urgent component of your broader Middle East peace efforts," said a letter signed by 54 lawmakers. 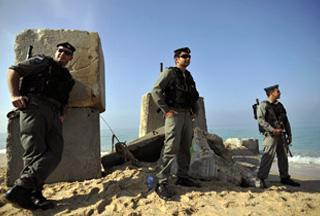 The impoverished coastal sliver has been under an Israeli blockade since June 2007. The siege has hampered the ability of relief agencies to distribute much needed aid amongst some 1.5 million people. The congressmen sympathized with Israel over what they described as threats from Palestinian activists in Gaza but said the blockade has resulted in "the de facto collective punishment of the Palestinian residents of the Gaza Strip." The letter written by Democrat Representatives Jim McDermott from Washington and Keith Ellison from Minnesota was also signed by several leftist organizations, including Americans for Peace Now and J Street. They called for facilitation of movement into and out of Gaza, while urging Israel to allow the import of building materials for the reconstruction of homes and infrastructure devastated during Israel's January 2008 offensive, which killed far more than 1,400 Palestinians. The letter prompted a response by the Israeli Embassy in Washington. It said the blockade would stand "as long as Hamas continues to attack Israel with missiles and other means." "Israel will not allow a neighbor that calls for its destruction to enjoy the benefits of an open border," it stressed. Tel Aviv is irked by missiles and rockets fired into southern Israel from Gaza. The projectiles normally land in deserted areas and hardly cause any casualties or damage to properties. The missiles are, Palestinians say, a response to Israeli air-strikes, murder and abduction of Gazans, and the ongoing siege of the coastal strip. Iranian scientists have achieved the capacity of producing interferon-gamma, a fundamental substance for fighting cancer using herbal extracts. “The Iranian scientists have identified the herbal extracts that induce immune cells to produce interferon and activate toll-like receptors,” said the head of the technology department at Teacher Training University Iran. “Ampoule Injections given to patients diagnosed with cancer contain one milligram of interferon-gamma. Iran is currently importing the vital ampoules at the high cost of 2,800 dollars each,” Esmaeil Saei told Mehr News Agency. “With the domestic, plant-based production of this medicine we will cut costs to 10 percent of the current amount, which will lead to substantial savings in the country's expenses,” he noted. Saei also emphasized that unlike the foreign-manufactured drugs that have numerous side-effects, the domestic version of the medicine has no side-effects for patients since it is made from herbal extracts. 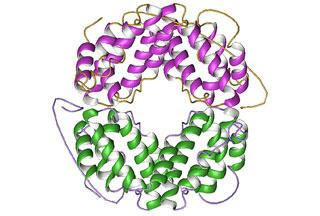 He added that the production of such vital substance raises the hope of producing interferon beta, a drug in the interferon family used to treat multiple sclerosis (MS). The Obama administration has reportedly approved a multi-billion dollar arms package for Taiwan, in a move that threatens to test relations between Washington and Beijing. The Associated Press quoting senior US congressional aides said on Monday that the package will likely include Black Hawk helicopters, Patriot missiles and communications equipment. According to the report, the White House has been consulting with Congress about Taiwan's defence needs ahead of a formal announcement of the sale at a yet undetermined date. However, the package will reportedly exclude F-16 fighter jets that Taiwan has sought to buy in order to modernise its air force, with aides saying it would be "too provocative" to the Chinese. A Taiwan diplomatic source was quoted in The Washington Times as saying the F-16s were needed to replace ageing warplanes. The new deal is part of an $11bn arms package first offered in 2001 under George Bush, the former US president, and which has been provided in stages because of political and budgetary considerations in Taiwan and the United States. The US awarded a contract worth nearly $970m to Lockheed Martin for the provision of air defence missiles and another worth over $1bn to Raytheon Co for the production of patriot missiles for Taiwan, according to a New York Times report earlier this month. The latest sale had been widely expected, with Beijing warning of an impact on ties with Washington and reiterating earlier this month its objection to any deal. China announced on January 12 the successful test of its interceptor missile as part of its advanced air defence capabilities, a move experts say was an indirect reaction to the weapons sale. The US government, on the other hand, is bound by the 1979 Taiwan Relations Act which obliges Washington to ensure the island is capable of responding to Chinese threats, and to sell defensive weapons to it. In a report to Congress last year the Pentagon said China's military build-up includes development of new advanced ballistic and cruise missiles that would be used against US forces if they were to defend Taiwan against attacks from the mainland. In 2008, China suspended most military dialogue with Washington after the Bush administration approved a $6.5bn arms package to Taiwan that included guided missiles and attack helicopters. European Union foreign ministers have announced that they will not clamp new sanctions against Iran unless the UN Security Council calls for the measure. During a meeting in Brussels on Monday, the EU foreign ministers spent considerable time discussing Iran's nuclear program, saying they would back any decisions concerning sanctions against Iran if they received support from the world's major powers. The move seems to be a sign of backing away from tightening restrictions against Iran as the European Council last week called for finely tooled sanctions against the country. "The sanction instrument is a very blunt one, so it should be used with extreme care," Swedish Foreign Minister Carl Bildt said upon arrival at the meeting. "Our aim is to get the Iranians to the negotiating table and have a political solution, and if there are any sanctions which can reinforce that possibility, I'm ready to look at them," Bildt said. "With Iran, (sanctions) will work out only if all the UN Security Council permanent members agree. ... The EU is ready to do it, but to get really functioning sanctions, we need all the big players in the world to be united behind this decision," said Estonian Foreign Minister Urmas Paet. Iranian Parliament Speaker Ali Larijani said on Saturday that a comprehensive and optimal solution to the Iranian nuclear issue could be worked out provided that the West, and the United States in particular, negotiate “sincerely” in the talks with the Islamic Republic. Iran's nuclear program was launched in the 1950s with the help of the United States as part of the Atoms for Peace program. After the 1979 Islamic Revolution in Iran, Western companies working on Iran's program refused to fulfill their obligations even though they had been paid in full. Iran says its nuclear activities are totally peaceful and under the supervision of the International Atomic Energy Agency (IAEA) and it is continuing to cooperate with the UN body. The IAEA has never reported any deviation from the proper path as it has conducted numerous inspections on Iran's nuclear facilities. Afghan President Hamid Karzai has said fighting the Taliban is no longer an option and he plans to reintegrate some of the militants back into society. 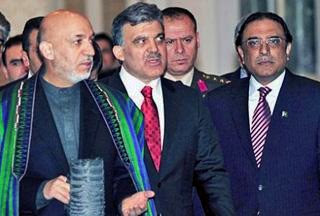 After a meeting in Istanbul on Monday with Turkish President Abdullah Gul and Pakistani President Asif Ali Zardari, Karzai told reporters that his plan has been fully backed by Western governments. On the eve of a major London conference on Afghanistan, Karzai said just fighting the Taliban is no longer an option. "Those Taliban who are not part of Al-Qaeda or other terrorist networks are welcome to come back to their country, lay down their arms, and resume life under the Constitution of Afghanistan," he added. Karzai praised Turkish efforts to ease the tension between Pakistan and Afghanistan over allegations of Pakistani support for the Taliban. When asked if Pakistan had already begun talking to the Taliban, Zardari did not deny it. The Turkish president said he was satisfied with the progress so far in the trilateral talks. The London conference on Afghanistan opens Thursday. 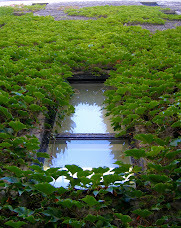 It is to include talks on international development assistance. Finding funding for a program to encourage Taliban insurgents to lay down their arms is expected to be one of the main items on the agenda. The Turkish president is hosting another meeting on Tuesday with the two presidents and senior diplomats and ministers from the United States, Iran, Russia, China, and Britain. Britain is pushing for peace talks with Taliban leaders in Afghanistan while attempting to map out an exit strategy, as its ally, the US, prepares to deploy more troops to the country. 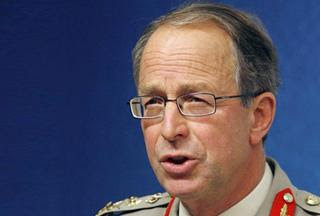 The British army chief, General David Richards, said on Monday that negotiations with the Taliban could be considered but must be done from a position of strength. "So it's a matter of timing, not the principle," he noted. He added that a deal should be reached with the Taliban on condition that the group cuts its ties with Al-Qaeda. The remarks come ahead of this week's international conference on Afghanistan in London, which is set to debate the implementation of more effective strategies in the Central Asian country. Ways to increase pressure on the Afghan government to give firm commitments on the training of security forces will also be discussed. General Richards' comments echo the remarks made earlier by General David Petraeus, the head of the US Central Command, and General Stanley McChrystal, the commander of US and NATO forces in Afghanistan, who held out the possibility of striking a peace deal with Taliban leaders. Earlier, US Defense Secretary Robert Gates also recognized the Taliban as part of the political fabric of Afghanistan. Afghan President Hamid Karzai has offered money and jobs to Taliban members in order to persuade them to lay down their arms. 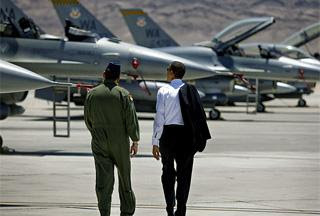 However, US President Barack Obama's new war strategy envisages deploying 30,000 more US troops to Afghanistan. 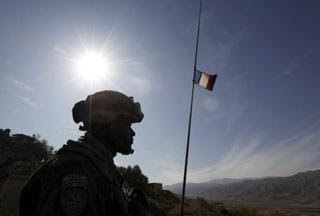 France has ruled out committing any more soldiers to its Afghanistan-based contingent amid US pressure on allies for military reinforcements. "If there is a need for more people to train, to help the police to undertake civil engineering, to help the population, to help Afghanistan, why not? But combat troops? 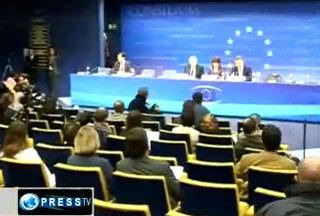 No," President Nicolas Sarkozy told the French TV channel TF1 on Monday, AFP reported. NATO pledged last year to boost the so-called counterinsurgency operations in Afghanistan by 7,000 more troops. The decision came in response to a call for more boots on the ground by Washington, which said it would scale up its own contingent by 30,000 extra forces. Afghanistan is experiencing the highest level of violence since the war began in 2001, despite the presence of about 113,000 foreign soldiers, mostly US troops. Meanwhile, Germany is considering boosting its roughly 4,300-strong contingent by at least 500 more troops, the regional daily The Rheinische Post reported. Ahead of a London conference on Afghanistan which will discuss a US-proposed military surge, US and NATO's top military commander in Afghanistan calls for an end to combat. 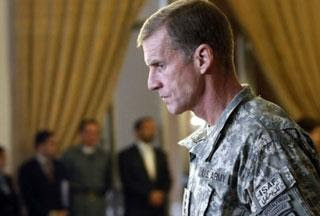 In an interview with The Financial Times published on Monday, US General Stanley McChrystal said that he hoped an increase in the international presence in the war-torn country would intimidate the Taliban into accepting a political deal. "As a soldier, my personal feeling is that there's been enough fighting," McChrystal was quoted as saying. "I believe a political solution to all conflicts is the inevitable outcome — and it's the right outcome," he added, arguing that many Taliban militants thought al-Qaeda was a negative influence. McChrystal went on to suggest that the dialogue would offer even Taliban leaders a chance to be involved in the government on the condition that they lay down their arms. He also urged participants in the London conference, which opens on Tuesday, "to walk out of London with a renewed commitment, and that commitment is to the right outcome for the Afghan people." An Israeli cabinet minister warns of the third Israeli war on Lebanon amid reports that Tel Aviv has mobilized its troops. 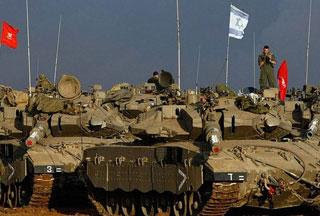 "We are heading toward a new confrontation in the north," said minister without portfolio, Yossi Peled in remarks carried by military radio and the Israeli news website Ynet, the AFP reported. The London-based A-Sharq al-Awsat newspaper reported Friday that the troops had been called to the northern the borders Lebanon to carry out "military maneuvers." "I don't know when it will happen, just as we did not know when the second Lebanon war would erupt," Peled added, referring to Israel's ground and aerial bombardment of southern Lebanon in 2006, which left some 1,200, mostly civilian, Lebanese dead. The 33-Day War and another bloody incursion in 2000 were fought off by Lebanon's Hezbollah resistance movement, which is an active member of the country's coalition government. The movement has, meanwhile, reportedly tightened security measures along Lebanon's southern border in reaction to successive reports of Israeli military escalation. Peled added that Israel would hold Hezbollah and Syria responsible for any attack on Israel. Hezbollah leader, Seyyed Hassan Nasrallah and authorities in Damascus have repeatedly warned Tel Aviv against warlike incitements, promising due response. Around 2,000 British photographers have staged a rally in London, protesting the UK's new controversial terrorism laws that warrant stop and search by police. The photographers gathered in London's Trafalgar Square on Saturday to express their discontent over the country's Terrorism Act 2000, which grants the police further authority to impinge on photographers' privacy. The demonstrators said Terrorism Act 2000 is not being “sensibly” implemented by law enforcement officers, according to BBC. They waved placards reading, "I am a photographer, not a terrorist" and flashed their cameras in a symbolic gesture. "We're coming together to show solidarity and to show that we won't be intimidated" by the implementation of Section 44 of the Terrorism Act, CNN quoted Jonathan Warren, a self-employed photographer and a founder of Saturday's campaign, as saying. Last week, the European Court of Human Rights ruled against the "coercive powers" of the counter-terrorism law and identified the Act as a breach of human rights. British media say under the new legislation, police stopped and searched around 36,000 people between April and June last year alone. 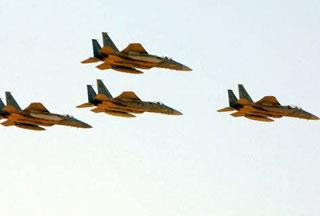 Houthi fighters say the Saudi army has conducted 18 airstrikes in the latest attacks along the border of northern Yemen. The Shia Houthis said late on Saturday that hundreds of Saudi rockets and mortar shells were fired into villages in Sa'ada province overnight. On Friday, the Houthis said a number of advances by government forces had been repelled and several tanks had been destroyed. Their leader, Abdel Malik al-Houthi, posted video footage on the group's website dismissing Yemeni government allegations of his death. The video showed al-Houthi to be in good health, contrary to reports suggesting he had been seriously injured. The Houthis say they are fighting to defend civilians being targeted in coordinated operations by Yemen and Saudi Arabia. Both countries deny the accusation. Yemen launched an offensive against the Houthis in Sa'ada back in August — three months before Riyadh joined in the attacks. In early November, Saudi troops undertook their largest mobilization since the 1990-1991 Persian Gulf War and began overtly attacking the Houthi fighters from the ground and the air. The Houthis, who until recently controlled a large swathe of mountain territory in Yemen's northwestern province of Sa'ada, have been under a sustained military assault by Yemen ground and air forces since August. Meanwhile, Saudi Deputy Defense Minister Prince Khaled bin Sultan said on Saturday that the Saudi military had recovered the bodies of 20 of the 26 Saudi soldiers listed as missing in the fighting since November. On January 12, he had put the death toll for Saudi troops at 82. Earlier this week, the southern region commander, General Ali Zaid al-Khawaji, said that 113 soldiers had died and that several more had most likely been captured by the Houthis, Saudi Arabia's official news agency SPA reported. A Rwandan rebel leader belonging to Armed Forces for the Liberation of Rwanda (FDLR) and accused of genocide is reportedly living as a free man in a suburb of Paris. 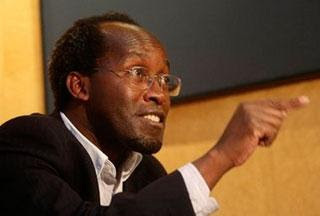 Callixte Mbarushimana, executive secretary of the FDLR rebel group, coordinates the rebels' daily activities in Rwanda and its neighboring countries, AP reported Saturday. Based on the report, the 46-year-old former UN employee is able to regularly send out press releases from his apartment in the French capital. FDLR is one of several groups accused of creating instability in the African nation as many of its members are accused of taking part in Rwanda's genocide. The Genocide was the 1994 mass killing of hundreds of thousands of Rwanda's Tutsis and Hutu political moderates by the Hutu dominated government. An estimated 800,000 people were massacred in the genocide. French Foreign Ministry has refused to extradite Mbarushimana to Rwanda whose men are accused of killing at least 700 civilians last year. "France does not extradite the citizens of countries which apply the death penalty, as was the case in Rwanda, or whose justice systems do not fully guarantee their rights," French Foreign Ministry Spokesman Bernard Valero said. Relations between two countries have reached a new low as Rwanda's government accuses France of playing an active role in the 1994 genocide. The FDLR group is also accused of decapitating several hundred people a few months ago in the village of Busurungi in DR Congo. The war, centered mainly in eastern DR Congo, has involved nine African nations and directly affected the lives of 50 million Congolese. An estimated 5 million people died in Congo from disease and hunger as a result of the civil war which raged from 1998 to 2003. Iran's President Mahmoud Ahmadinejad says he will soon give "good news" regarding the 20-percent enriched fuel needed for a medical research reactor in Tehran. President Ahmadinejad told reporters on Sunday that he will announce the news during the coming weeks, which commemorate the Dahe-ye Fajr (the 10 Days of Dawn) and the lead-up to the victory of the 1979 Islamic Revolution. "Anyone would be glad to hear the wonderful news as it is about the country's recent achievements in science and technology," said Ahmadinejad. The Iranian President did not elaborate further on the issue. This comes as Iran has been waiting for the West's response to a proposed nuclear deal for the research reactor in Tehran that produces medical isotopes. The six major powers involved in nuclear talks with Iran have proposed that Tehran accept the draft deal which requires it to send most of its home-produced low enriched uranium abroad to be converted into more refined fuel for the reactor. Citing the West's numerous breach of contract in the past, Tehran has declared that the proposal does not provide enough guarantees that the West would fulfill its commitments. Instead, the officials in Tehran have asserted that they will accept the draft deal if the swap takes place in the Iranian southern island of Kish. Thousands of people attended rallies in towns and cities across Canada on Saturday to speak out against Prime Minister Stephen Harper's decision to suspend Parliament until March. More than 60 rallies were planned across Canada, with protests also slated for London, England, and several U.S. cities. Liberal Leader Michael Ignatieff addressed the crowd on Parliament Hill on Saturday afternoon, commending protesters for their campaign to send MPs back to work. "This is a demonstration that shows that Canadians understand their democracy, care for their democracy, and if necessary will fight for their democracy," Ignatieff said. "This demonstration does not belong to the politicians of any party, it belongs to the Canadian people." MPs were supposed to return to work Jan. 25 after a holiday break, but Harper said he moved to delay the resumption of Parliament in order to focus on strategies for Canada's economy. Ignatieff said Liberal MPs will be back at work Monday, despite the prorogation, to hold public meetings. NDP Leader Jack Layton also addressed the crowd in Ottawa, reiterating his call for a new law that would limit any prime minister’s power to prorogue Parliament. Layton also called on the prime minister to recall Parliament and send MPs back to work. "I get the impression that you’d like your representatives to be at work on your behalf starting tomorrow," Layton told the cheering crowd. "Sorry … Monday — we’re jumping the gun." RCMP officials in Ottawa estimated that roughly 3,500 people took part in the rally on Parliament Hill. Thousands of protesters gathered at Yonge-Dundas Square in Toronto to protest the suspension of Parliament. Some took the demonstration onto the street, chanting and waving placards as they marched down Yonge Street. Rallies were also staged Saturday in Regina and Saskatoon, and attracted several hundred people. In Regina, about 200 people gathered on a downtown pedestrian street. "It's about the masses and their voice being heard," Sonya Stanger,18, said. "You know, representation of the masses, and that's not what's happening right now." Also in Regina, three people — who kept a respectful distance from the main group — held signs showing support for Harper. Their presence was noted with a smattering of boos from the crowd. However, a speaker said the point of the rally was to support democracy and implored people to respect differing points of view. In Halifax, several hundred people shouted anti-Harper slogans in front of Province House in the city's downtown. "We can't use prorogation to run from our problems. Canada knows that that can't happen and we're making sure that they all know that too," said Brendan Sommerhalder, one of the organizers of the Halifax rally. In Calgary, a group of protesters gathered outside the prime minister’s constituency office. The anti-prorogation movement gained momentum after a Facebook group was created condemning Harper's decision to suspend the parliamentary session. More than 200,000 people have joined the site and rally organizers used the social networking medium to help organize Saturday’s protests. A new report said that Hezbollah has tightened security measures along the border with Israel as Tel Aviv beefs up its forces along the northern frontier. 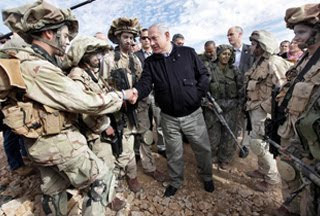 Citing Lebanese sources, the London-based A-Sharq al-Awsat newspaper reported Friday that Israeli troops were called up to the northern borders to carry out "military maneuvers." According to the report, the resistance movement put its forces on high alert to retaliate in the event of "surprise attack" by Israel. The daily quoted a Hezbollah source as saying that "Israel has accustomed us to aggression and we are used to being vigilant and on the lookout all the time. 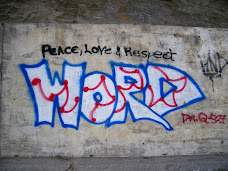 That is what we are doing." The source, however, did not confirm the security alert on border. The paper said Syria had also called up reservist soldiers, including Syrian natives residing in Lebanon. A senior Israeli army officer, however, denied reports about an upcoming military drill along the border. He also denied any plan to attack Lebanon. Hezbollah Deputy Secretary-General Sheikh Naim Qassem warned Thursday of an Israeli attack, which could place at any time. "The resistance is preparing and working persistently in order to face such a possibility, whether it was delayed or sudden at any given moment," Lebanon's Naharnet quoted him as saying. In 2006, Israel fought the 33-day war to destroy Hezbollah's military power but eventually left southern Lebanon without achieving any of its objectives. 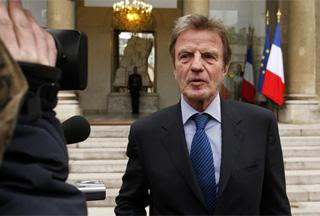 Hezbollah has condemned French Foreign Minister Bernard Kouchner's latest statements over the daily Israeli aggressions against Lebanon. "Kouchner's statements contradict with the reports of UNIFIL, which has France among its ranks, about the daily Israeli aggressions against Lebanon and violations of its sovereignty," Hezbollah said in a press release issued on Friday. According to Lebanon's Hezbollah resistance movement, the French official's statements "carried clear echoes for the Israeli voice and a full denial for France's history and its legacy in resisting aggression and occupation." "This stance is an attempt to acquit Israel and to cover up its relentless violations of Lebanese sovereignty, the thing which represents a shield for its occupation and an encouragement for it to pursue its aggressions." Hezbollah further urged the French government to "play a role matching with the responsibility, which it has always claimed to practice, concerning keenness on the security of Lebanon and its sovereignty." On Friday, Kouchner reportedly told Lebanese Prime Minister Saad Hariri and the Lebanese delegation that Hezbollah and not Israel is the main danger for Lebanon and that the concerns in Lebanon over an Israeli attack are unjustified. “Israel is our friend, and if there was a threat to Lebanon, it will only come from a military adventure carried out by Hezbollah in the best interest of Iran,” Kouchner said. Iran's Foreign Ministry Spokesman Ramin Mehman-Parast condemned the French accusation, noting that the influence of Israel is obvious. "It is clear to all that the Zionist regime [Israel] is the root cause of threats and occupation. It attacks innocent people… every day and deprives them of their basic rights," the Spokesman pointed out. An unconfirmed report by the Russian Northern Fleets says the Haiti earthquake was caused by a flawed US Navy 'earthquake weapons' test before the weapons could be utilized against Iran. United States Navy test of one of its 'earthquake weapons' which was to be used against Iran, went 'horribly wrong' and caused the catastrophic quake in the Caribbean, the website of Venezuela's ViVe TV recently reported, citing the Russian report. After the report was released, Venezuelan President Hugo Chavez also made a similar claim, saying that a US drill, carried out in preparation for a deliberate attempt to cause an earthquake in Iran, had led to the deadly incident in Haiti, claiming more than 110,000 lives. Though Russian Northern Fleets' report was not confirmed by official sources, the comments attracted special attention in some US and Russian media outlets including Fox news and Russia Today. Russia Today's report said that Moscow has also been accused of possessing and utilizing such weapons. In 2002, a Georgian Green Party leader claimed that Moscow had instigated an earthquake on Georgian territory, the TV channel said. According to ViVe, the unconfirmed Russian report says earlier this month the US carried out a similar test in the Pacific Ocean, which also caused another 6.5 magnitude earthquake in an area near the town of Eureka, California. The California quake resulted in no deaths or serious injury, but left many buildings damaged. The Venezuelan news website said that the report also introduced the possibility that the US Navy may have had "full knowledge" of the damage that the test could cause. The report also speculated that knowledge of the possible outcome was why the US military had pre-positioned the deputy commander of US Southern Command, General P. K. Keen, on the island so that he could oversee relief efforts if the need arose. Based on the alleged report, the ultimate goal of the US weapons tests was to initiate a series of deadly earthquakes in Iran to topple the current Islamic system in the country. 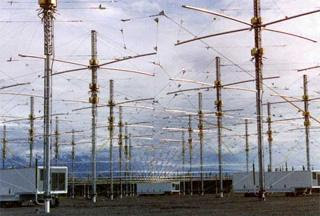 The tests are believed to be part of the United States' High Frequency Active Auroral Research Program (HAARP), which has been associated with many conspiracy theories. Other than being blamed for earthquakes, HAARP has also been associated with weather anomalies that cause floods, droughts and hurricanes. Some sources have even linked the 7.8 magnitude quake that shook the Chinese city of Sichuan in May 12, 2008 with the program. Russia has accused the US military of employing such devices in Afghanistan to trigger the devastating 7.2 magnitude earthquake that hit the country back in March, 2002. In the mid-1990s the Russian State Duma issued a press release on HAARP, which was signed by 90 deputies. 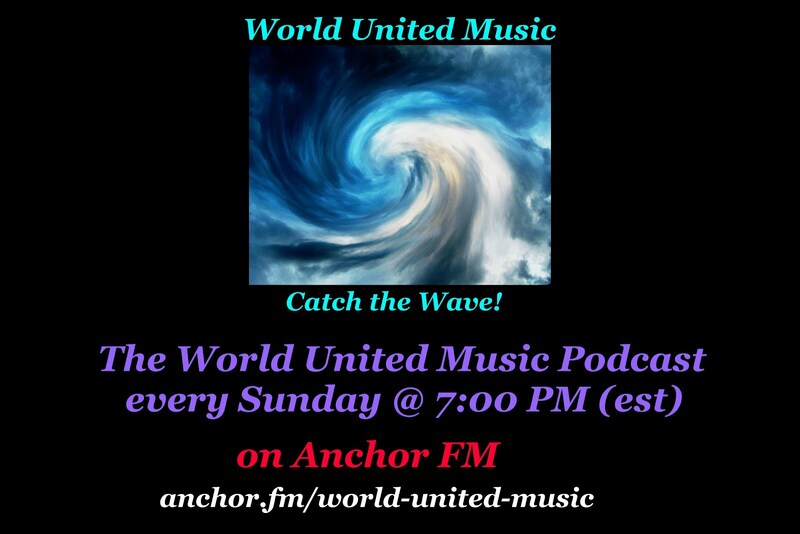 The statement said the US was "creating new integral geophysical weapons that may influence the near-Earth medium with high-frequency radio waves." “This new type of weapons differ from previous types in that the near-Earth medium becomes at once an object of direct influence and its component,” the statement explained. In 1997, US Secretary of Defense William Cohen also expressed concern about activities that "can alter the climate, set off earthquakes, volcanoes remotely through the use of electromagnetic waves." 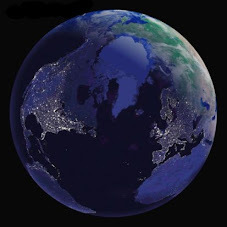 The US government, however, has chosen to stick to its position that HAARP is merely a program aimed at analyzing the Earth's ionosphere for the purpose of developing communications and surveillance technology. The US Supreme Court issued a landmark opinion on Thursday that over-turned the way American election campaigns are financed. The Court’s been considering whether to end long-standing limits on corporate and labour union spending in US political campaigns. You have to understand that in America, political campaigns are big business. Literally - they cost millions of dollars! The 2008 contest between Democrat Barack Obama and Republican John McCain for the White House was the most expensive so far with both candidates raising more than a billion dollars between them. Much of that money went on relentless TV ads. The case in the Supreme Court centred on a mini-film called "Hillary the Movie". It was made by a conservative advocacy group that’s funded in part by money from big business. The idea was to attack Hillary Clinton during the primary stages of her 2008 Presidential run. The Federal Election Commission banned it from broadcast close to voting day saying Hillary the Movie amounted to a campaign advertisement. 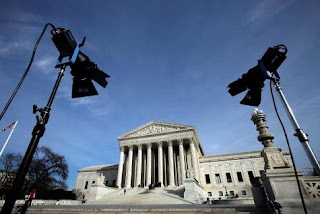 The producers thought otherwise, sued, and their case was taken up by the Court - though the Justices took it upon themselves to broaden their inquiry and review over a century’s worth of campaign finance law. At the heart of the case should corporations be treated as persons under the US constitution and allowed to spend huge amounts of cash on political campaigns at state, Congressional and Presidential level. Those in favour argued before the bench that not to include corporations would be a violation of the First Amendment which guarantees free speech. Those against claimed it would be devastating for American democracy with a flood of corporate sponsored TV ads with big business way outspending individuals. Craig Holman from the not-for-profit consumer lobby group Public Citizen put it this way. Americans won't have to wait too long to see the effect of the Supreme Court's opinion put into practice. 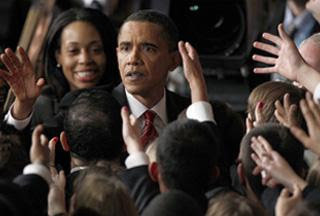 The next big election here is the crucial mid-term congressional elections in November ... elections that are likely to set the political tone for the final two years of Barack Obama’s first term in office.